Less experienced players perform with the Training band which encourages and develops those playing at approximately Grades 1 or 2 upwards. The Band works on more straight forward arrangements of popular classical, film and pop tunes and performs both on their own and with the Concert Band twice a year. 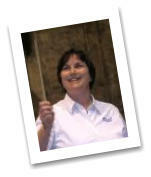 Although we don’t tutor players on their specific instruments, several of the experienced musicians from the Concert Band assist in rehearsals and performances and are on hand to offer help and suggestions. We can also help you find a teacher if you don’t already have one. 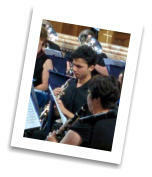 The environment is supportive with an emphasis on learning to play in an ensemble and developing musicianship skills. Most players will progress to a stage where they can join the Concert Band and continue to enjoy making music at a higher level. Please see the Events page for details of forthcoming concerts featuring the Training Band, or, if you are a player, please visit the Recruitment page for information about performing with us. We look forward to seeing you!